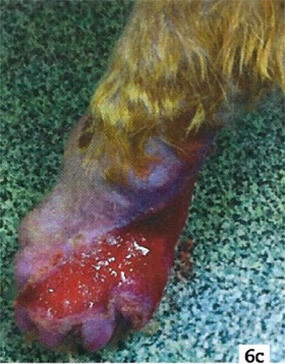 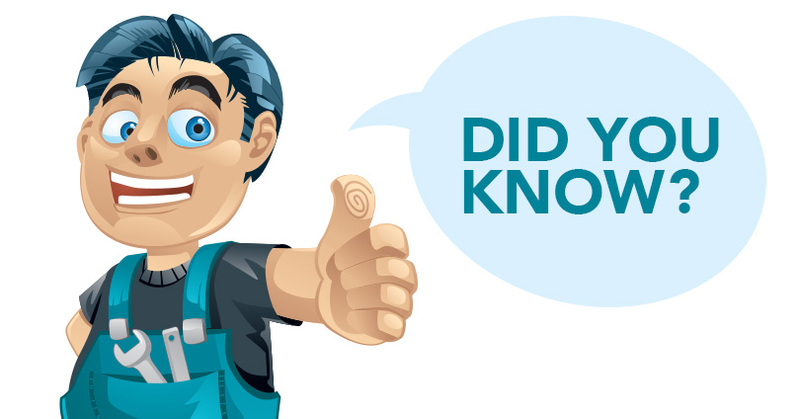 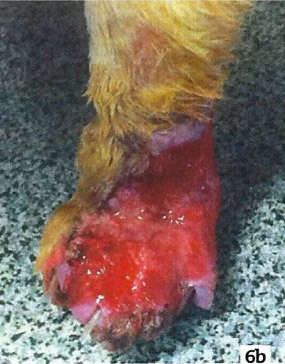 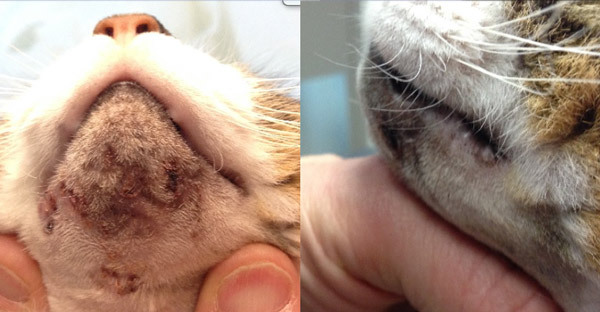 Home » Blog » Did you know the therapeutic laser treats effectively animals skin problems? 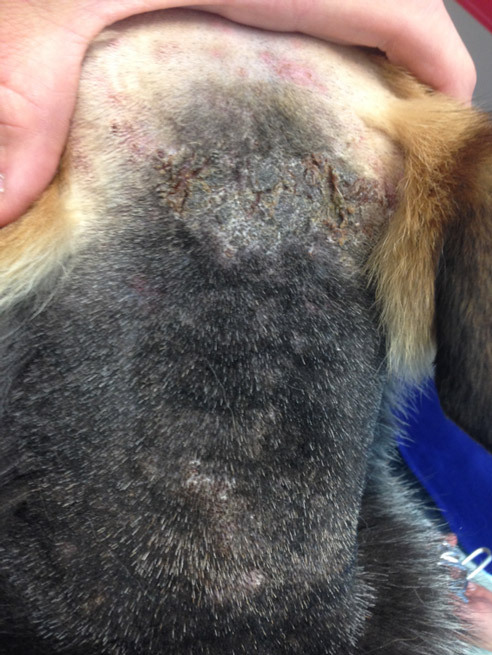 Compare the before and after pictures of different skin problems treated with the therapeutic laser! 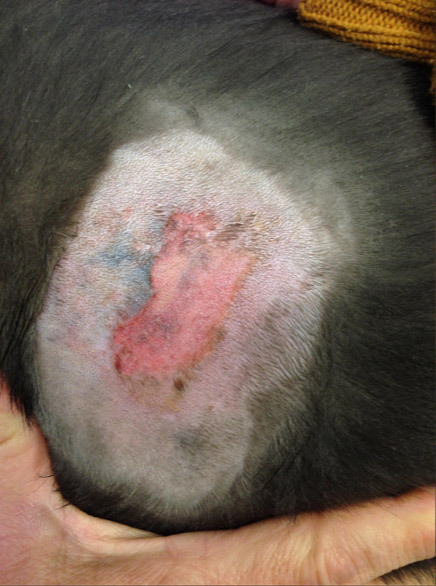 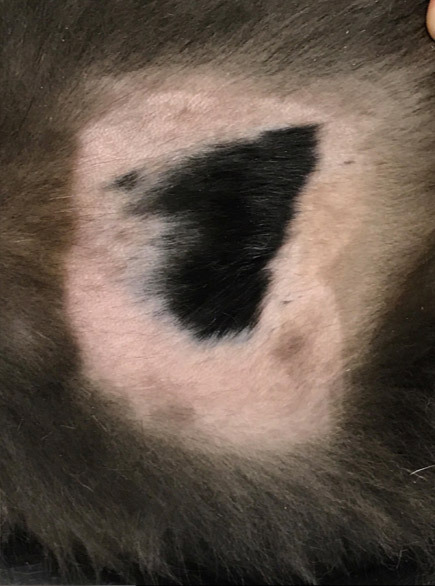 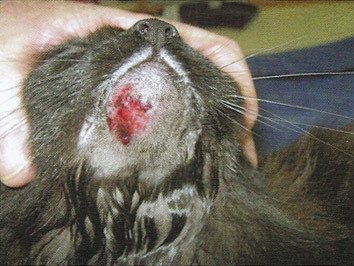 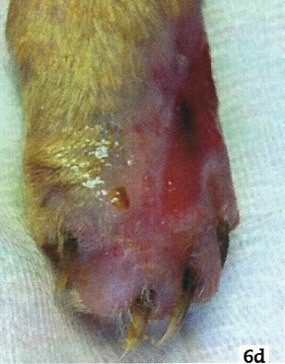 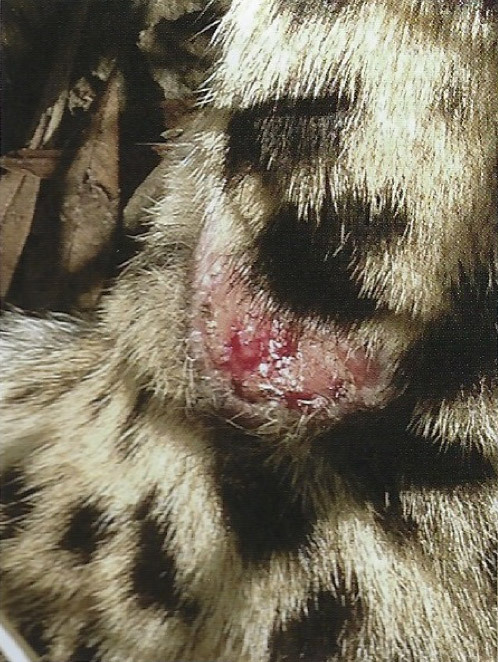 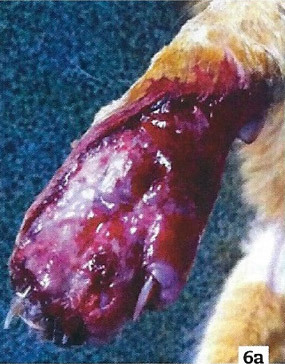 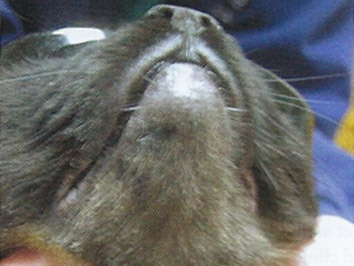 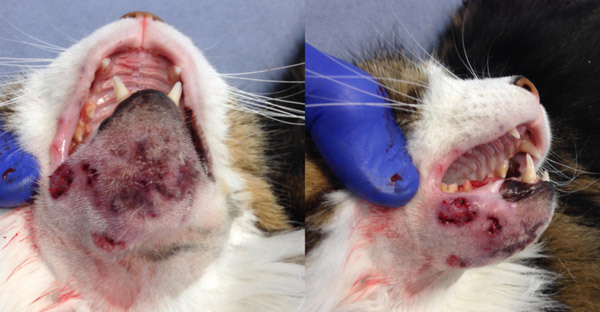 (6a) to (6e) Evolution of a skin wound during laser treatment in a cat at D0, D3, D12, D21 and D60. 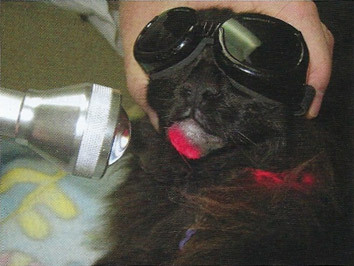 Figure 19.5 shows a case (a) upon presentation, (b) during a laser treatment session (wearing goggles), and (c) on a re-check visit 2 weeks later. 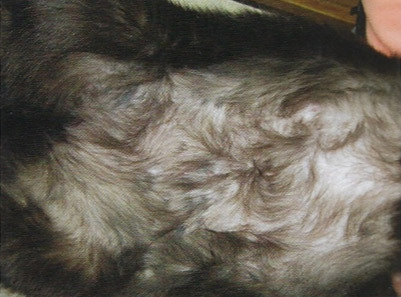 This cat is a great example of the rapid positive responses seen. 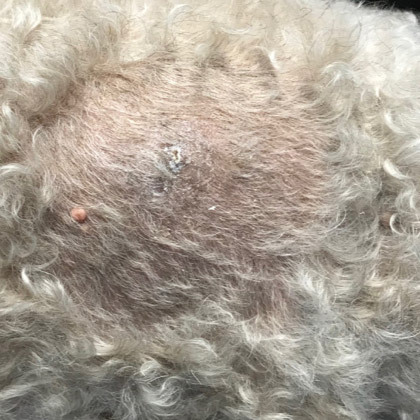 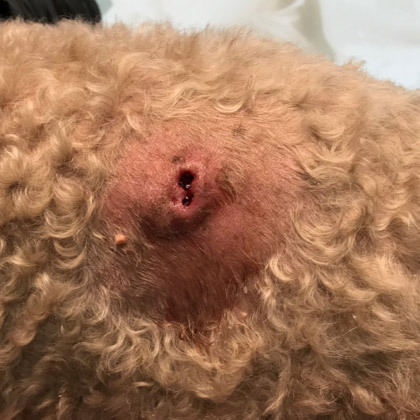 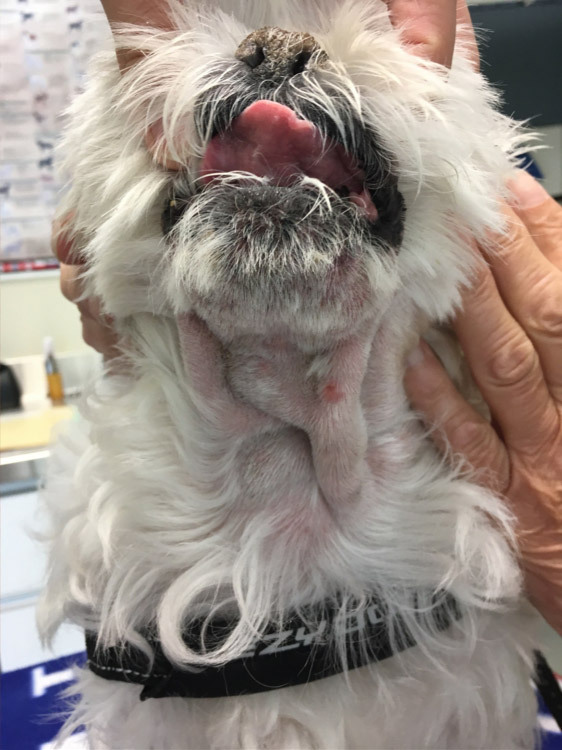 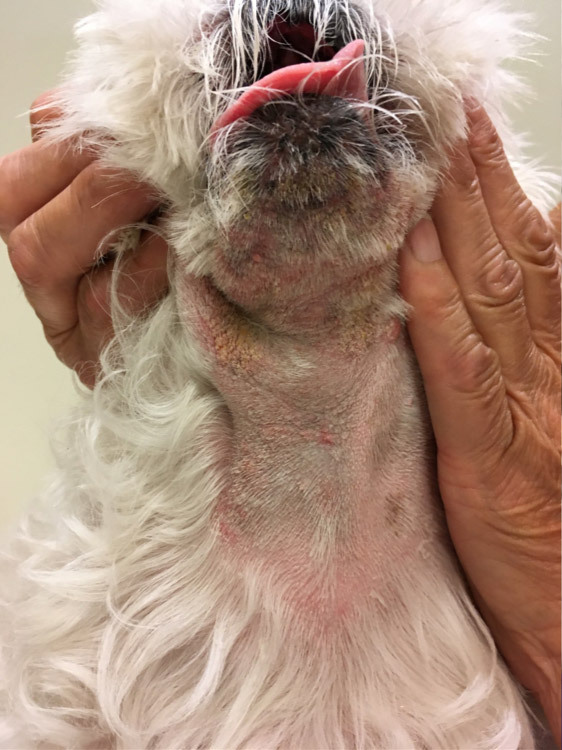 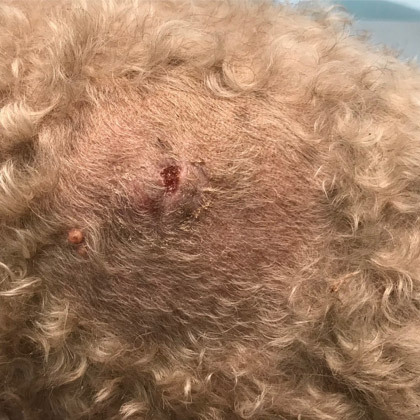 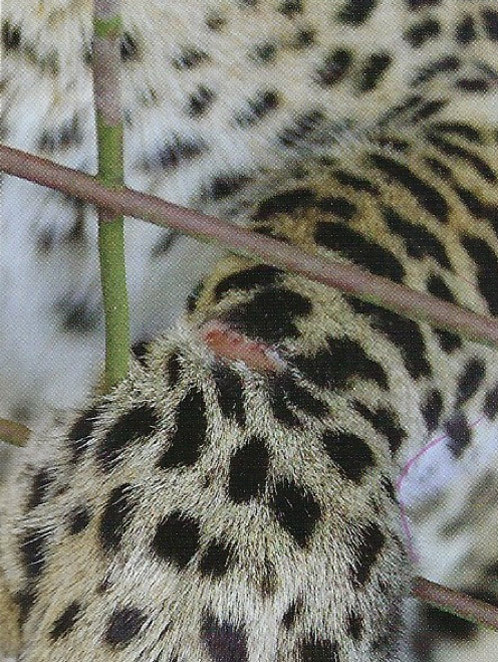 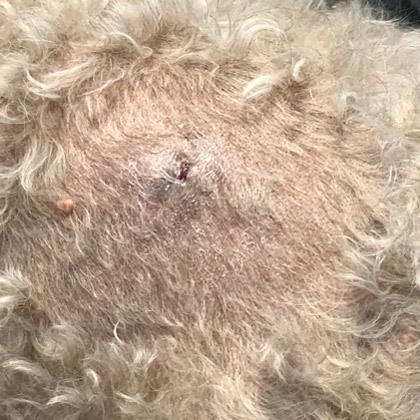 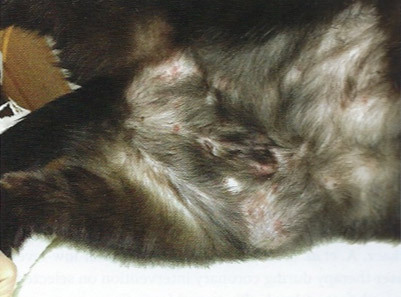 Figure 19.6 (a) Self-inflicted excoriation and dermal lesions due to allergic dermatitis on presentation. 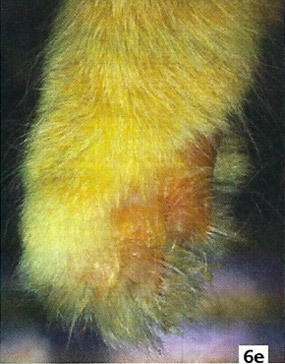 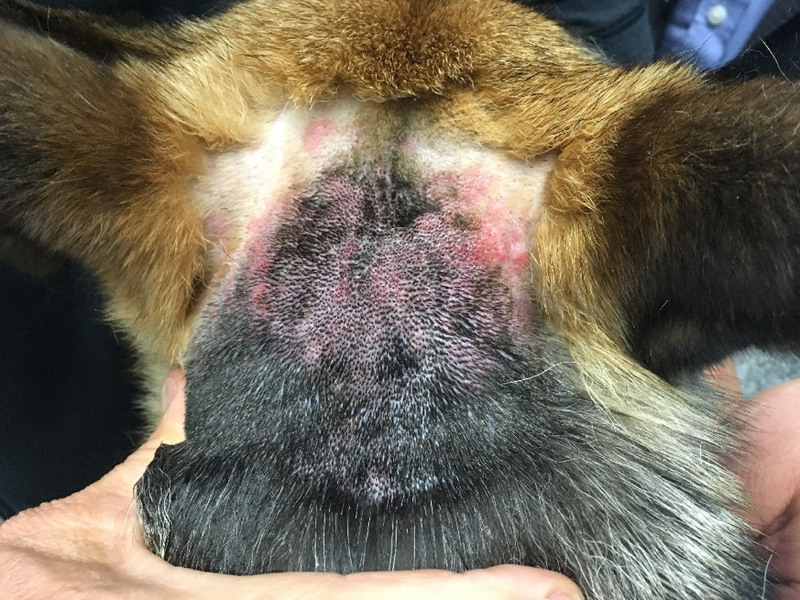 (b) The same patient without erythema and with significant hait regrowth 3 weeks later, following three laser therapy treatments.